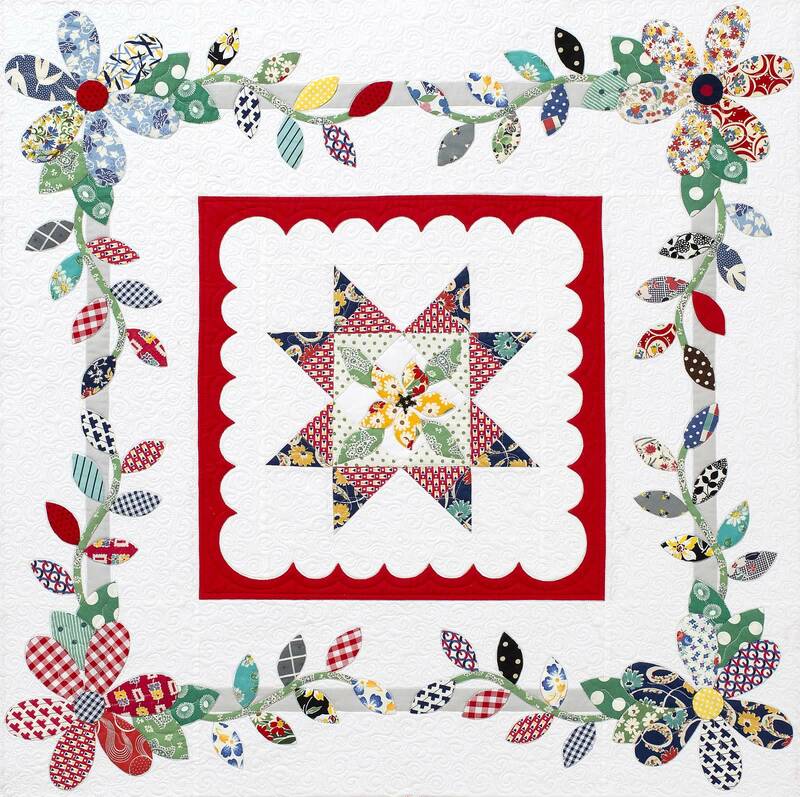 Today, February 15th, the second installment of the “Hazel’s Diary” quilt is in the Kansas City Star’s Sunday paper, in the House & Home section. This month’s pattern is the applique portion that goes around the center block from last month. Summer Wildflowers in bright happy colors to represent the Summer of ’51. I used a combination of vintage fabrics, modern fabrics, and 1950s reproduction fabrics for my scrappy flowers and leaves. The arrangement is inspired by 1950s table linens. This is the largest amount of applique you’ll encounter on the entire quilt. During the Summer of 1951, Hazel was witness to one of the worst catastrophes to ever hit the Kansas City area. You can read more of her diary entries written during the Great Flood starting HERE. If you’d like to read the diary from the beginning, just click HERE to get started. If you’d like to go to a certain month or section, just use the Archives pop-up menu located in the sidebar to choose the month you’d like to read. You can click through the posts in order by using the links located at the upper right corner of each post. I’m in the process of removing past quilt-along instructions, so if you see quilting instructions in the posts for the year 1951, or run across broken links, just ignore them. The diary is currently in the year 1954, so follow along with the daily entries to see what Hazel is doing. And be sure to check back on March 15th for Block 3 of the “Hazel’s Diary” quilt! Get your copy of this month’s pattern in today’s Kansas City Star Sunday paper. You can read the story online HERE. You can download the PDF file for this installment HERE.